The original Applebee's opened in Atlanta in 1980 and served everything from munchies to steak and quail. The world's largest casual dining chain celebrated 30 years of eatin' good in the neighborhood in 2010. The original Applebee's, which was named T.J. Applebee's Rx for Edibles & Elixirs, opened in Atlanta in 1980. The founders of the original restaurant, including Bill and T.J. Palmer, wanted to name the restaurant Appleby's, but that spelling had already been registered. Cinnamon's and Peppers, two other names considered, were taken as well. The Palmers settled on T.J. Applebee's, which was just different enough from their first choice. "Menu items ranging from munchies to steak and quail are served at round, high-topped tables on platforms," read one newspaper review from 1981. A second location was opened in Atlanta before T.J. Palmer's ownership group sold the restaurant concept in 1983. The name was changed to Applebee's Neighborhood Bar & Grill in 1986 and became the first casual dining chain to hit 1,000 locations in 1998. Bob Evans began producing sausage on his farm in 1948 for a 12-stool diner he owned in southeastern Ohio. His patrons raved about the sausage, prompting Evans to enter the sausage-making business on a larger scale. Bob Evans Farms was launched in 1953, and when the number of visitors to his farm began to increase, Evans saw an opportunity. Evans opened a small restaurant called the Sausage Shop in front of his brick farmhouse in Rio Grande, Ohio, in 1962. The Sausage Shop is considered the first of Bob Evans' now-famous chain restaurants. Today, Evans' farmhouse, known as the Homestead, is on the National Register of Historic Places. In 1985, federal prosecutors Rick Rosenfield and Larry Flax opened the first California Pizza Kitchen in Beverly Hills. Rosenfield and Flax, who were inspired by Wolfgang Puck's popular Spago restaurant in West Hollywood and hired Puck's original pizza chef at CPK, read Ray Kroc's autobiography prior to starting their business. Today, the chain has grown to more than 250 restaurants. In 1972, Oscar and Evelyn Overton moved from Detroit to a suburb of Los Angeles to launch a wholesale bakery specializing in cheesecakes. Six years later, the Overton's son, David, opened a salad and sandwich shop in Beverly Hills that featured 10 flavors of his mom's cheesecake. One of the main purposes of the shop was to get local restaurateurs to carry the Overton's cheesecake in their own establishments, but it turned into a booming business of its own. Overton opened a second restaurant in Marina Del Rey in 1983. The rest was history. In 1969, Dan Evins, who worked in his family's gasoline business, opened the first Cracker Barrel Old Country Store off Highway 109 in Lebanon, Tennessee. By 1977, 13 additional Cracker Barrel stores had opened. The goal of the original Cracker Barrel was to provide a place for motorists to fill their tanks and their stomachs, and the inspiration for the concept came from the general stores that Evins frequented as a child. According to the Cracker Barrel website, goods such as crackers were shipped to these stores in barrels, and when the barrels were empty, the base was often used for a checkerboard. The gift shop remains a staple of Cracker Barrels today. Harold Butler founded Denny's in Lakewood, Calif., in 1953 as Danny's Donuts. First-year earnings totaled $120,000. Butler opened 20 additional shops and expanded the menu to include sandwiches and other entrees over the next six years before renaming his restaurants Denny's. Butler began franchising Denny's in 1963 and introduced its signature Grand Slam breakfast in Atlanta in 1977. In 2000, Denny's opened a restaurant in Rhode Island, which was the only state without one. Mental Floss: How do you decaffeinate coffee? The first IHOP was opened by brothers Al and Jerry Lapin on July 7, 1958, in Toluca Lake, California. Part of the reason the Lapins chose Toluca Lake was to capitalize on the overflow crowd from Bob's Big Boy. Al Lapin had operated a series of coffee carts in Los Angeles when fast-food chains started to take off and saw the potential for a fast-food restaurant that specialized in breakfast. Today, IHOP boasts more than 1,500 restaurants in all 50 states. 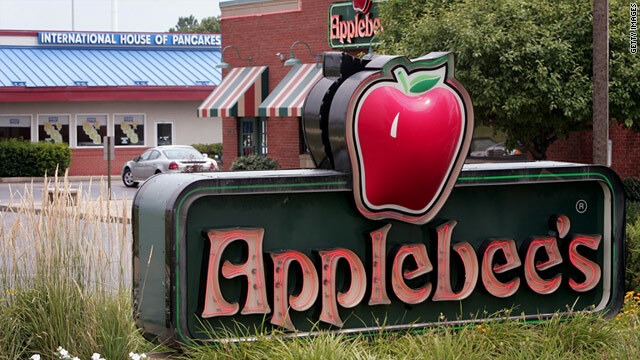 IHOP purchased Applebee's in 2007. Bill Darden opened the first Red Lobster in Lakeland, Florida, in 1968. The restaurant, which offered seafood at reasonable prices, was popular from the start and Darden soon opened four additional locations throughout Florida. In 1970, General Mills purchased Darden's chain. The original restaurant was closed in 1997 after Darden determined that Lakeland would be better served by only one location. Red Lobster wasn't the first color/animal restaurant Darden started. Decades earlier, he opened The Green Frog. Alan Stillman opened the first T.G.I. Friday's at First Avenue and 63rd St. in New York City in 1965 -- partially as a means of meeting airline stewardesses. "The other thing is that my timing was exquisite, because I opened T.G.I. Friday's the exact year the pill was invented," Stillman told the New City Reader last year. "I happened to hit the sexual revolution on the head, and the result was that, without really intending it, I became the founder of the first singles bar." The first Friday's featured Tiffany lamps, sawdust on the floor, and distinctive red and white striped awnings. First year revenues at the original Friday's were $1 million. A second location opened in Memphis in 1970, and within 10 years, eight other T.G.I. Friday's had opened. Stillman eventually sold Friday's and launched Smith and Wollensky Steakhouse in 1977. Mental Floss: Who was the first stewardess? The original Waffle House opened on Labor Day 1955 on East College Avenue in Decatur, Georgia. In 2008, the 13-stool diner that launched more than 1,500 Waffle Houses reopened as a Waffle House museum, with vintage equipment and memorabilia displays of old uniforms and place settings. "That was the year McDonald's and all the hamburger chains started doing takeout," Waffle House co-founder Joe Rogers told the Atlanta Journal-Constitution in 2008 of his idea to open a restaurant with his neighbor, Tom Forkner. "We wanted to do sit-down, and we knew you couldn't take out a waffle or it'd become flimsy."